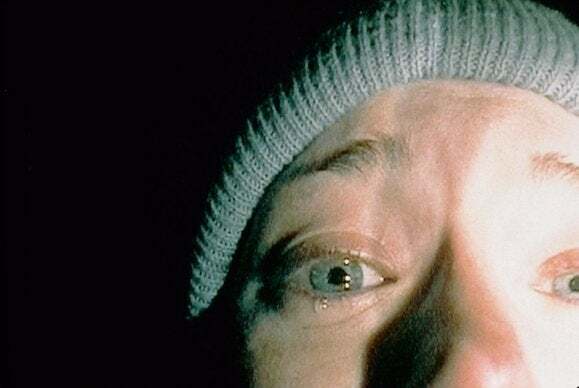 Eduardo Sanchez and Daniel Myrick’s The Blair Witch Project (1999) became a horror phenomenon back in 1999, conjuring up a frighteningly simple idea and using only three actors, a 16mm camera with black-and-white film and a color video camera, and the woods. Basically, a documentary crew tries to find the infamous witch of the title, and gets lost while strange things happen around them. Their footage is later “found” and assembled. The film’s clever marketing campaign (is it real?) helped it earn $140 million in America against a $60,000 budget. But even if you know it’s all fiction, it still works brilliantly, thanks to a focus on sounds, chills, and atmosphere, rather than gore and monsters. It has inspired countless “found footage” imitators in the 15 years since. Now could be the time for a new generation to discover it. English filmmaker Bernard Rose would go on to make movies about Beethoven and movies based on works by Tolstoy, but for a fleeting moment, he was a horror guy. His Candyman (1992) was based on a story by Clive Barker and featured several high-class touches, such as a creepy score by Philip Glass and striking art direction, clashing the academic world with graffiti-ridden inner city projects. Two college students (Virginia Madsen and future film director Kasi Lemmons) research a paper on urban legends. One such legend, the Candyman, appears if you say his name five times in a mirror, which of course happens. Tony Todd plays the weirdly elegant, but quite deadly, monster. Part of the trouble with remakes is that they are inevitably compared to the originals, which only makes sense, but which is sometimes unfair. Sometimes, taken by itself, a remake is perfectly fine, which is the case with this new Carrie (2013), from acclaimed director Kimberly Peirce (Boys Don’t Cry). Given her female perspective and her penchant for embracing bullied characters, Peirce’s version makes perfect sense. Based on Stephen King’s first novel, the story is still timeless, but now updated to include social media bullying. Teen Carrie (Chloe Grace Moretz) is repressed by her paranoid, religious mom (Julianne Moore), but develops telekinetic powers when she reaches puberty and experiences her first period. It builds up to the prom and the pig’s blood, as usual, but Peirce digs deeper into the mother-daughter relationship, and the result is intriguing. After creating the modern zombie movie with his masterpieces Night of the Living Dead (1968) and Dawn of the Dead (1978), Pittsburgh director George A. Romero began to find himself marginalized with the under-appreciated third film in the series, Day of the Dead (1985). After tackling racial tensions and consumerism, Romero used this film to underline military thinking. The current survivors of the zombie apocalypse reside in an underground bunker, where angry, narrow-minded soldiers, who want to shoot everything, clash with scientists, who wish to study the zombies. 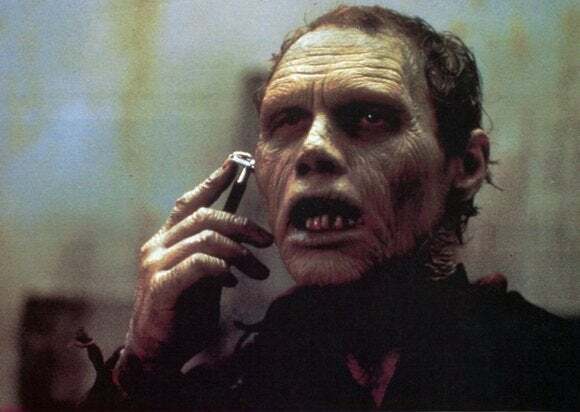 A captured zombie called “Bub” is the star of the show; a scientist (Richard Liberty) tries to get Bub (Sherman Howard) to remember his humanity by giving him shaving gear and a Walkman. Eventually, it’s human error that brings everything crashing down. Criticized for its harshness—and earning only a third of the box office that the parody The Return of the Living Dead made a month later—Day of the Dead is now considered a masterpiece. Active in the 1960s and 1970s, Italian director Mario Bava is one of the undisputed masters of horror, creating thick, vivid atmospheres for his desperate stories, and using color, shadow, and space like no one before or after him. 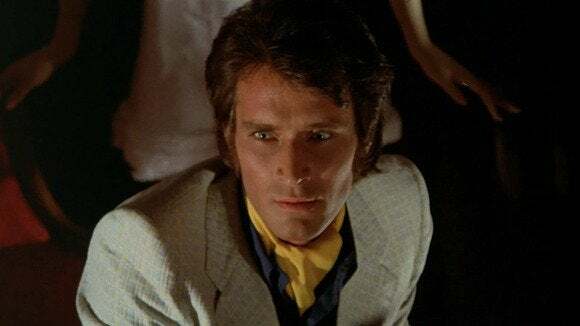 Hatchet for the Honeymoon (1970) is one of his most brutal films, told from the point of view of a serial killer (Stephen Forsyth), who is also a wedding dress designer for the upper crust. He announces right off the bat that he’s mad, and astonishingly, we begin to root for him against his horrible, shrewish wife. Given its general lack of mystery or suspense, this movie is a perfect demonstration of how Bava’s skills make the movie menacing, fascinating, and even darkly funny. In the 1980s, Clive Barker burst on the scene as a hot new horror author (complete with a famous quote by Stephen King: “I have seen the future of horror... and it is named Clive Barker”), but who knew he would be a solid movie director as well? 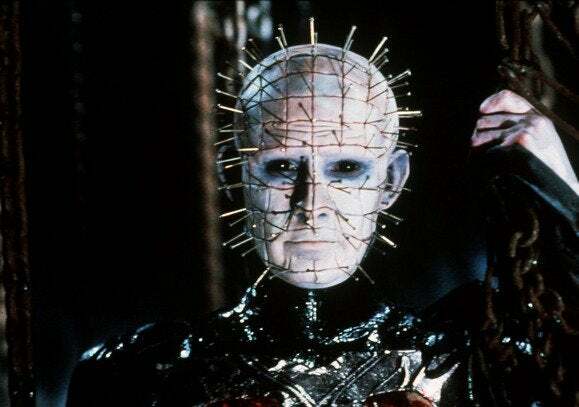 His Hellraiser (1987), adapted from his own novel The Hellbound Heart, is an incredibly potent, visual, and corporeal experience, more mature than the usual 1980s fare. It introduces a weird puzzle-box, which unleashes a bunch of demons, led by Pinhead (who became one of the iconic monsters of his age). It’s more complicated than a mere slasher film, focusing more on desire and power than on bloody jump-shocks, though gore-hounds will definitely not be disappointed. See also the very good sequel, Hellbound: Hellraiser II (1988). Roman Polanski’s The Ninth Gate (1999) found a lukewarm reception when it opened in the United States. It starts promisingly, with a kind of antique book detective Dean Corso (Johnny Depp), who is hired by Boris Balkan (Frank Langella) to authenticate the only three existing copies of a supposedly demonic book. On his travels, Corso meets two beautiful women (Lena Olin, and Emmanuelle Seigner, the director’s wife), and increasingly strange things happen to him. The movie falters a bit in its final act with some showy visual effects, but until then, Polanski favors long, slow, mood-building scenes, built on subtle layers of suspense. This is, after all, the man who brought paranoia and horror to new heights with Repulsion (1965), Rosemary’s Baby (1968), and The Tenant (1976). The late English director Antonia Bird created this most unique horror effort, a Mexican-American War cannibal movie, set in California around 1850. 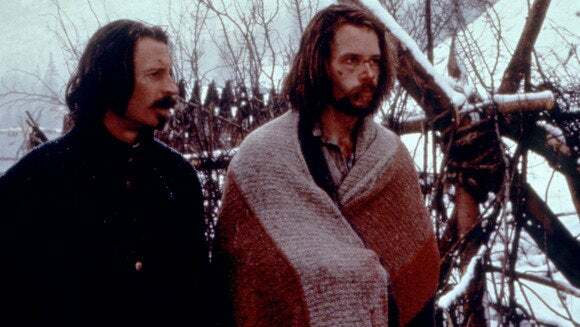 In Ravenous (1999), Captain John Boyd (Guy Pearce) is stationed during the winter at a quiet, remote fort, when a mysterious stranger (Robert Carlyle) appears. His band of settlers became lost and he survived by eating human flesh; he also gained amazing strength, as well as an insatiable appetite for more! Bird’s chilly outdoor locations help establish mood, as well as Michael Nyman’s spooky music score. Weirdly, the studio advertised it as a straight-up comedy, and it flopped. It certainly has its darkly comic moments, but it’s seriously creepy stuff. In an ingenious horror twist, Shadow of the Vampire (2000) tells the story of the making of F.W. Murnau’s legendary silent-era classic Nosferatu (1922), except that, behind the scenes, Murnau secretly casts a real vampire. Max Schreck (Willem Dafoe) is not just an actor here; he’s a genuine bloodsucker who threatens to take over Murnau’s production. Arrogant genius Murnau (John Malkovich) is not afraid of the creature, and instead butts heads with it, wrestling for control. Director E. Elias Merhige could have focused on humor, or on gore effects, but instead, he delivers an effective drama, following fascinating characters and beautifully paying homage to the cinema of the past. 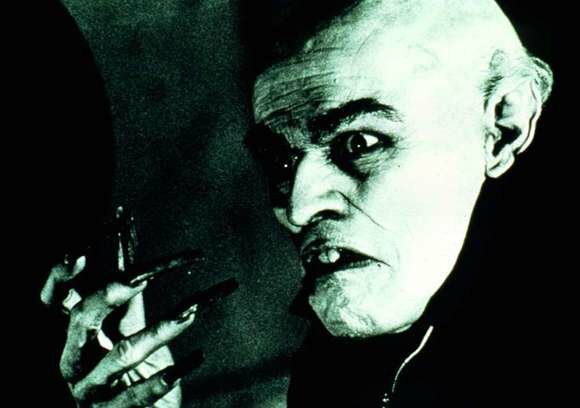 Dafoe received an Oscar nomination for his flawless performance (perfectly matched with footage of the real-life Schreck), and his vampire makeup received a second nomination. One of the greatest of all horror directors, David Cronenberg has lately moved into intense dramas, but he retains his fascination with the human body, its limitations and capabilities, and the extent to which it can be altered or changed. His first feature film, Shivers (1975), had the alternate title “They Came from Within,” which is a perfect way to sum up his career. A doctor conducts weird experiments using parasites to help patients, which turn them into a kind of lustful animal state, with uncontrollable sexual urges. The parasite gets loose in a modern-day concrete apartment building, which Cronenberg uses as a dehumanized contrast to the crazy behavior. It’s one of those movies that can be intelligently analyzed, or viewers can just sit back and have some depraved fun. Beautiful future cult actress Lynn Lowry plays a nurse, and horror legend Barbara Steele has a small role.